With the rise of smartphone usage, opportunities to create a digital brand experience through video have risen too. Video is said to be the type of content with the best ROI according to 51.9 percent of marketing professionals, while Syndacast predicts 74% of all internet traffic in 2017 will be video. So yes, video is a great way to experience a brand or drive engagement, but what about the rise of live streaming: video content of the moment? Surely this will drive experiences and exclusive content to a whole other level, giving brands unlimited possibilities from showing behind-the-scenes clips to product launches to interviews. 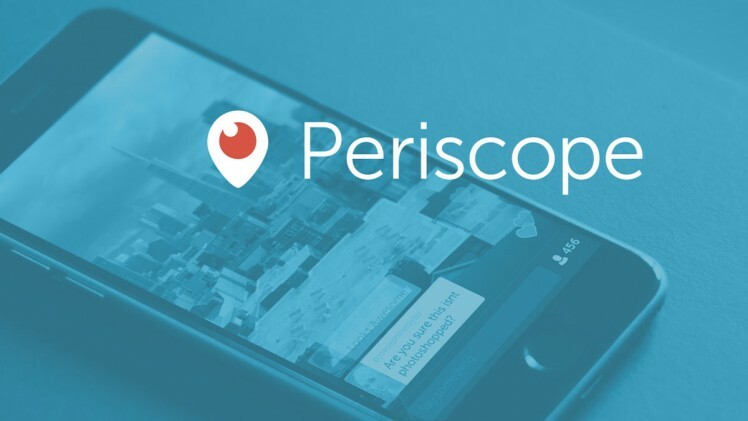 As of the beginning of the year, Periscope could boast over 10 million accounts and that its users watch the equivalent of 40 years’ worth of video every day. Meanwhile, Tastemade predicts it will create 100 Facebook Live episodes (Facebook live is to be launched later this year, perhaps?) per month, since recent success of 220,000 viewers from a recent stream. Jesse Hertzberg, of Livestream states, “That’s the same kind of rating you’d get with TV without the same cost of distribution.” With this level of engagement and reduced distribution costs, we’ll be seeing more brands utilising live video platforms in the near future. With the significant consumer reach that can be achieved through live streaming, it will be no surprise when more brands begin to take further advantage of the benefits to engage consumers with an of-the-moment digital brand experience.